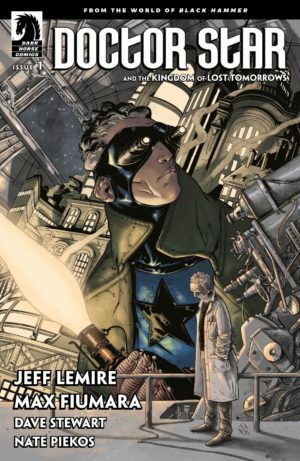 MILWAUKIE, Ore., (December 07, 2017)—Following the success of Jeff Lemire and Dean Ormston’s Eisner Award-winning series Black Hammer and its spinoff series Sherlock Frankenstein & The Legion of Evil, Dark Horse is excited to announce the next installment in the Black Hammer universe, Doctor Star & The Kingdom of Lost Tomorrows. 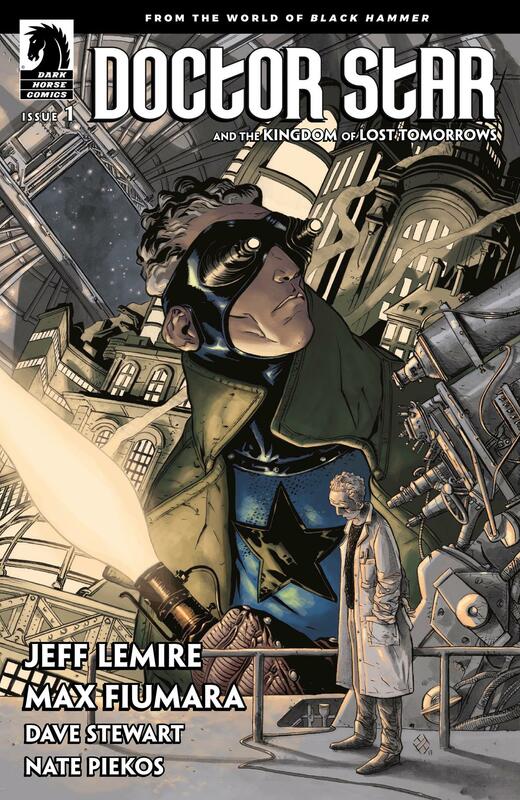 Abe Sapien artist Max Fiumara joins Jeff Lemire in the new four-issue miniseries. Award-winning colorist Dave Stewart (Hellboy) and talented letterer Nate Piekos (Umbrella Academy: Apocalypse Suite) round out this super creative team. Doctor Star & The Kingdom of Lost Tomorrows will feature variant covers by Declan Shalvey and Jordie Bellaire, J.G. Jones, Dustin Nguyen, and Annie Wu.